The number of Tibetan refugees entering India via Nepal has decreased significantly in recent years. Department of Immigration (DoI) Director General Kedar Neupane disclosed that fewer Tibetan refugees are being permitted to enter Nepal, due to strict border controls. 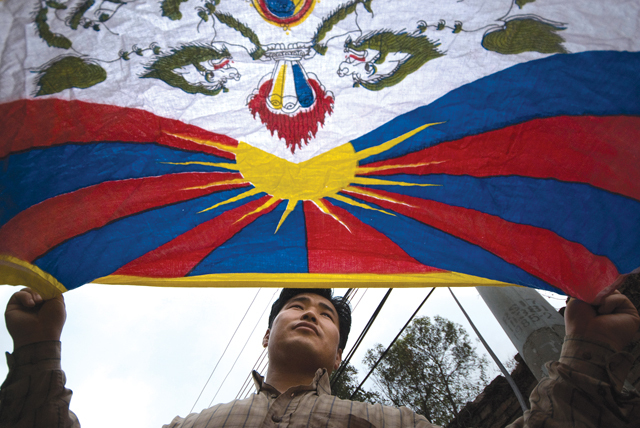 DoI records show that 1,248 Tibetans had sought exit permits from Nepal in 2010, in comparison with only a fraction of that — 85 applications — in 2015. Among the 53 applications received this year, 16 were recently submitted by Tibetan refugees who had entered Nepal from the Kodari, Rasuwa and Gorkha border points, and one was from a 13-year old child. “We are implementing a stringent inspection policy at all border points. As a result, the number of Tibetan refugees entering Nepal has dropped, which accounts for the decreasing number of applicants for exit permits for India,” said Neupane. He even added that Tibetans are opting to stay in their homeland because of declining fervour over the Dalai Lama. According to the United Nations High Commissioner for Refugees (UNHCR), there are over 12,540 Tibetan refugees sheltering in Nepal. However, the government of Nepal has failed to provide any legal status to the Tibetan refugees languishing in Nepal. Stricter border controls and much more repression in China. From the treatment of booksellers who criticise the chinese in Hong Kong we can see these are evil. They will never change. Worldwide people believe money will come, it will not they are so many. India was the better friend for Nepal.